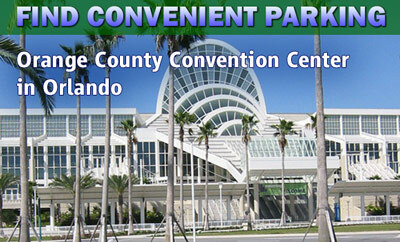 Parking.com offers convenient parking for The Orlando Convention Center. Click on a parking location for detailed parking info like rates, hours or operation and directions. The Orlando Convention Center, officially known as the Orange County Convention Center (OCCC), is Central Florida's most popular public convention center. It is the second largest convention center in the US with an exhibit area of 2,100,000 sq ft. The OCCC is also close to nearby vacation destinations such as Disney World, Universal Studios and Sea World.